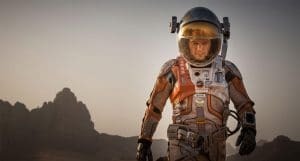 With all of the buzz around the recent release of the movie adaptation of Andy Weir’s book “The Martian”, its interesting to take a look at the book’s storyline and scenario from the perspective of communications and virtual team functionality. Without giving away too much, the basis of the story is that Mark Watney, an astronaut who is part of a mission to Mars, becomes stranded on the planet and has to work out how to survive while NASA tries to find ways to mount a mission to rescue him. The story follows his successes and failures, highs and lows, as he works to source food, survive the Martian climate and communicate with Earth. Among the many challenges of life on Mars is the fact that the planet is over a years travel time away from Earth and that communications take around 13 minutes to travel each way between Earth and Mars. Coupled with this, a Martian day is longer than an Earth day at 24 hours 37 minutes and 22 seconds, so it is not even possible to communicate at the same time each day. Along the way, Watney loses and regains contact with Earth and NASA several times using a number of different methods and tools, switching him between completely autonomous and controlled from a distance. All of this combines to make Watney’s time surviving as a Martian a wonderful example of the extremes of some aspects of working in virtual teams. As has been discussed in a number of earlier articles on this website, learning to work across multiple time zones is a skill every member of a virtual team must learn. Communicating to team members who are in different timezones means you need to learn to be flexible, adjust your schedule and adapt the tools you use to be effective. In the martian, this challenge is made more complex by the continuously shifting time difference between Earth and Mars, such that each Earth day the time on Mars is some 37 minutes later than the day before. In a conventional, terrestrial, business environment it is also critical to be aware of the time zones of your virtual team colleagues. You need to tailor your message, communication expectations and technologies to suit the time differences. The communications medium can be a critical and highly influential tool in how virtual teams maintain contact. In an environment like the one depicted in the martian, having a method to communicate that is robust and that gives both parties a written record of messages is also important. With the 13 minute transmission delay each way between Earth and Mars, it is also highly impractical to use verbal communications, the latency in message send and receive is just too long to have a sensible and effective discussion, so regardless of the relative times between the two planets, written text is the best way to proceed. This is a great example of the use of asynchronous communications. Similarly, it is very important, in a business environment, to choose the right communication platforms and tools for the messages being conveyed. The platform needs to be sensitive to timezone differences, the criticality of the message and its level of complex data and needs to be accessible to all parties. For instance, even with highly effective video conference and telephony, if the communications are around highly complex technical data, it is best to leverage both email and shared server access to convey the data. Astronauts need to be able to think for themselves and work independently, they also need to be exceptional team players and communicators. They need to be able to work well with colleagues when placed in very close proximity for extended periods, such as when they are in space in a small spaceship, they also need to be able to communicate with precision and accuracy under times of extreme stress and when separated from colleagues by vast distances and time, such as when they are traveling to or located on Mars. Beyond these exceptional communication skills, an astronaut needs to be able to work completely autonomously at times when they are isolated from their fellow astronauts and when they are out of communications with their base. This communications break was demonstrated in missions to the moon when the capsule was behind the moon and out of communication with NASA and this is also what happens should an astronaut’s communication equipment break down while on a martian mission. In the event of a communications breakdown, the astronaut must continue with their mission, they need to do this without relying on remote guidance and, both the astronaut and their control center need to trust each other that things are proceeding as planned and expected. This is the same in a more conventional, earth based virtual team, the personnel in each office need to trust each other so that, if they are not constantly talking to each other, they all know that things are happening as planned. Following on from the last item, the martian astronauts and their ground controllers must trust each other explicitly. This trust means that the astronaut will follow instructions from earth without question, knowing and trusting that the earth based controllers have their absolute best interests in mind at all times, that they will work in any way needed to resolve issues and that the instructions are always directed toward the safety of the astronaut and their mission. Similarly, when working in our conventional virtual teams we need to trust our virtual colleagues, we need to trust that they are working to the best of their abilities on our project, to trust that they will keep us appraised of any issues they find and to trust that the overall project plan is well considered and needs everyone to follow it. In the same way as an astronaut on a martian mission will not willfully choose to disregard or go against directions from earth, so members of virtual teams need to have faith in their overall leaders, to follow instructions and not to go off and do their own thing or set their own agenda, doing so would lead to major misalignment issues in any project. Do you have experiences with complex and extreme communications in virtual team environments you would like to share? and it would be amazing if any of them involved space travel… If so, we would love to hear from you.